Operation Christmas Drop 18 is the world’s longest running humanitarian airdrop activity and the oldest ongoing U.S. Department of Defence mission which remains in full operation, which this year will be held from 5th to 18th December. Operation Christmas Drop has taken place every year since 1952, when it started as a training mission. Its objectives are distribution of Christmas gifts in Micronesia, training of American service men and women, provision of a training opportunity for Pacific allies. 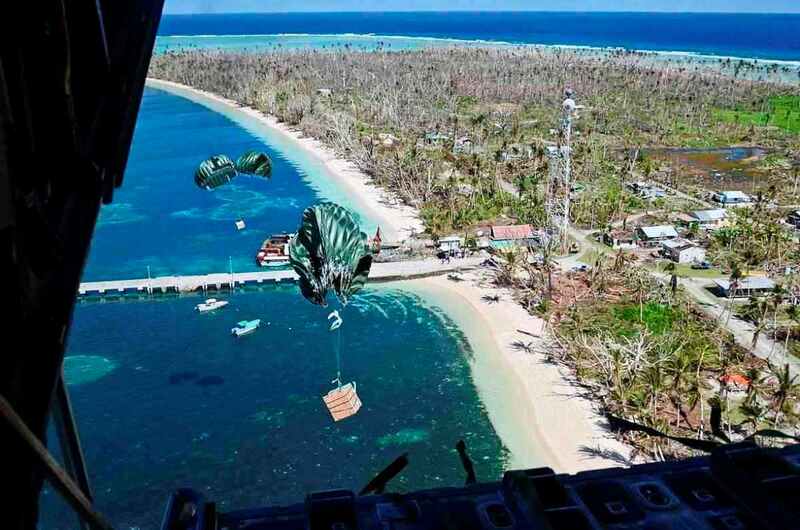 It is led by the U.S. Pacific Air Force (PACAF) and involves C-130 Hercules crews airdropping loads to remote island communities within six million square kilometres of the West Pacific. This year Australia will send a contingent of 16 personnel and a Hercules from RAAF Base Richmond to Anderson Air Force Base in Guam that will join the work of the counterparts from the USA and Japan. RAAF Detachment Commander for Operation Christmas Drop 18, Flight Lieutenant Nicholas Bourke, commented that the participants in the event will gain a vital experience. The Australian Hercules will participate in missions of up to 10 hours from Guam to communities, located at more than 2,000 kilometres away, including the Federated States of Micronesia, the Northern Marianas Islands, as well as the Republic of Palau. Within the recent years, U.S. personnel and their families have donated or raised money for the purposes of purchasing items delivered during the Operation Christmas Drop activities. Construction materials, rice, fishing nets, soccer balls, and school supplies are only some of the purchased items. Squadron No. 37 of the Royal Australian Air Force has also contributed to Operation Christmas Drop 18 through collecting items for donation.